Earth Day was started in 1970 to celebrate the intricate beauty of Earth and raise awareness about the importance of its environmental protection. The global annual event is observed on April 22 and is now celebrated in more than 190 countries. But Earth Day isn’t just about Earth’s incredible diversity by day. It’s also a celebration of the mysterious world of night and the importance of protecting this fragile environment. For billions of years, all life has relied on Earth’s predictable rhythm of day and night. It’s encoded in the DNA of all plants and animals. Unfortunately, humans have radically disrupted this cycle by lighting up the night. 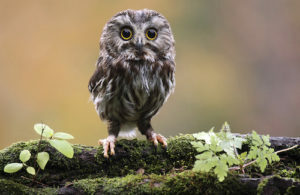 Nocturnal animals sleep during the day and are active at night. Light pollution radically alters their nighttime environment by turning night into day. According to research scientist Christopher Kyba, for nocturnal animals, “the introduction of artificial light probably represents the most drastic change human beings have made to their environment. Glare from artificial lights can also impact wetland habitats that are home to amphibians such as frogs and toads, whose nighttime croaking is part of their breeding ritual. Artificial lights disrupt this nocturnal activity, interfering with reproduction and thus, reducing their populations. Sea turtles live in the ocean but hatch at night on the beach. Hatchlings find the sea by detecting the bright horizon over the ocean. Artificial lights draw them away from the ocean. In Florida alone, millions of hatchlings die this way every year. Birds that migrate or hunt at night navigate by moonlight and starlight. Artificial light can cause them to wander off course and toward the dangerous nighttime landscapes of cities. Every year millions of birds die colliding with needlessly illuminated buildings and towers. 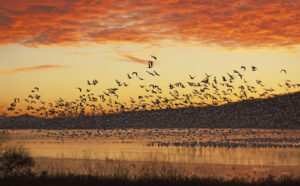 Migratory birds depend on cues from properly timed seasonal schedules. Artificial lights can cause them to migrate too early or too late and miss ideal climate conditions for nesting, foraging and other behaviors. Many insects are drawn to light, but artificial lights can create a fatal attraction. Declining insect populations negatively impact all species that rely on insects for food or pollination. Some predators exploit this attraction to their advantage, affecting food webs in unanticipated ways. Earth Day helps us remind us the importance of protecting wildlife and the environment. And this include the night environment. 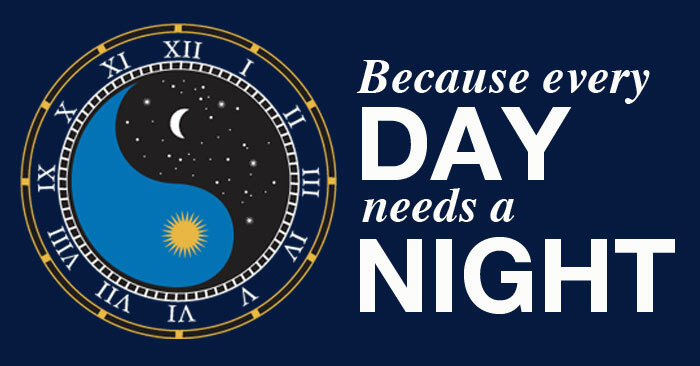 Because every day needs a night! Previous post: Happy National Park Week!